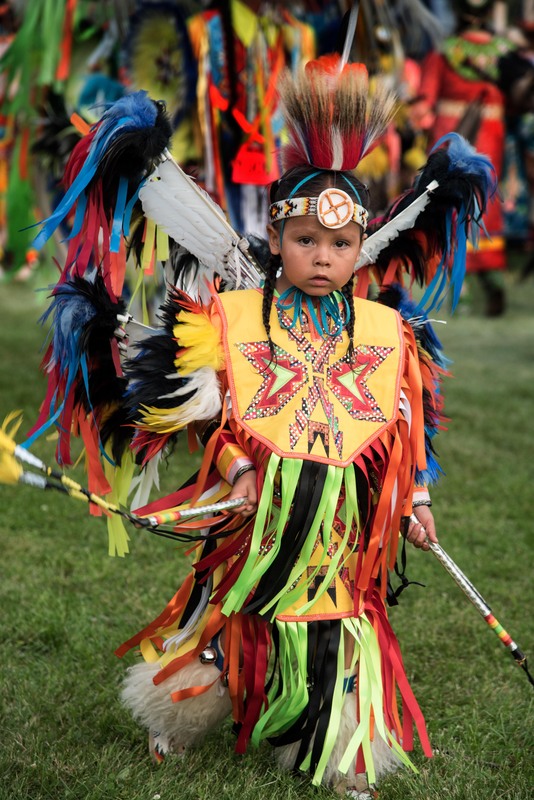 Many years ago, Rochester hosted a Pow-Wow. My husband and I went there thinking we could take some photos. 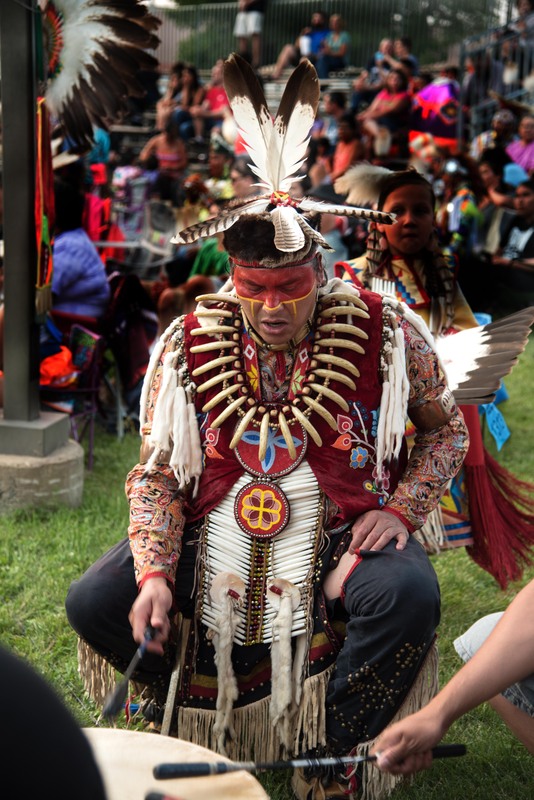 I didn’t know anything about Pow-Wow, and I wasn’t serious in photographing at the time. It turned out to be a small one. We didn’t stay long. I took less than 10 photos on that day. 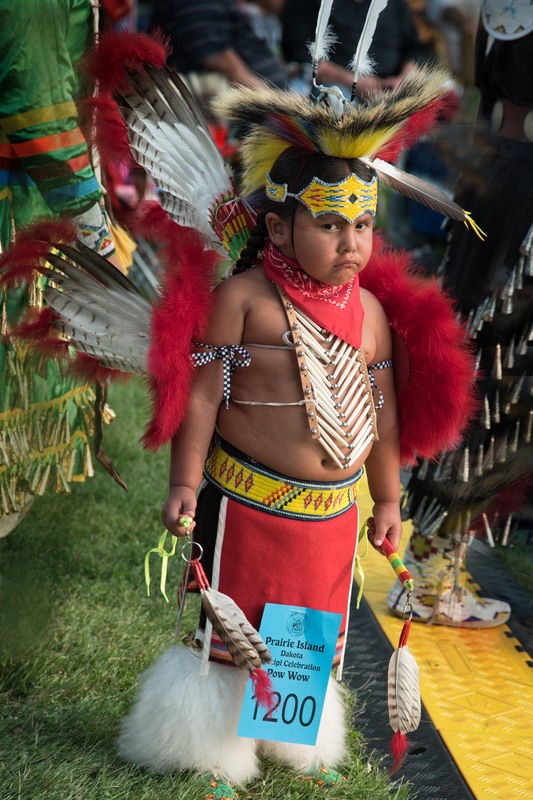 Two days ago, my friend JT told me about the Prairie Island Dakota Days Wacipi Celebration at Welch. Yesterday we drove an hour to be there. 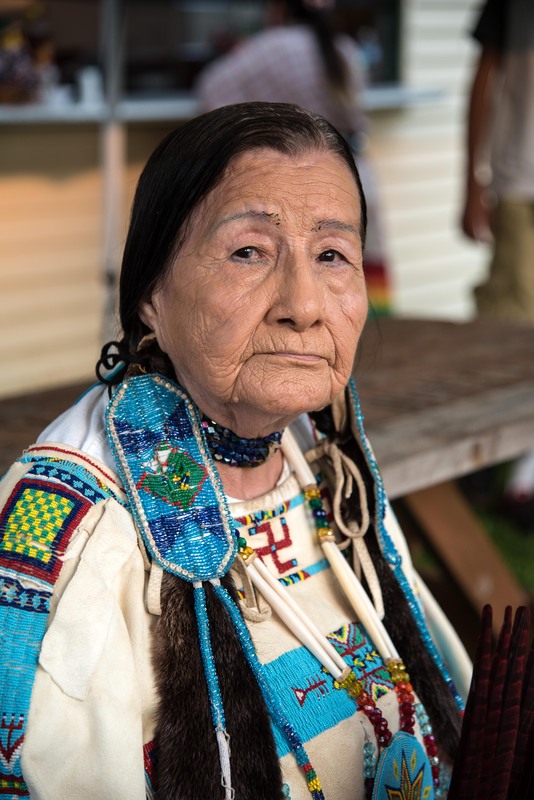 I still don’t know too much about Pow-Wow. 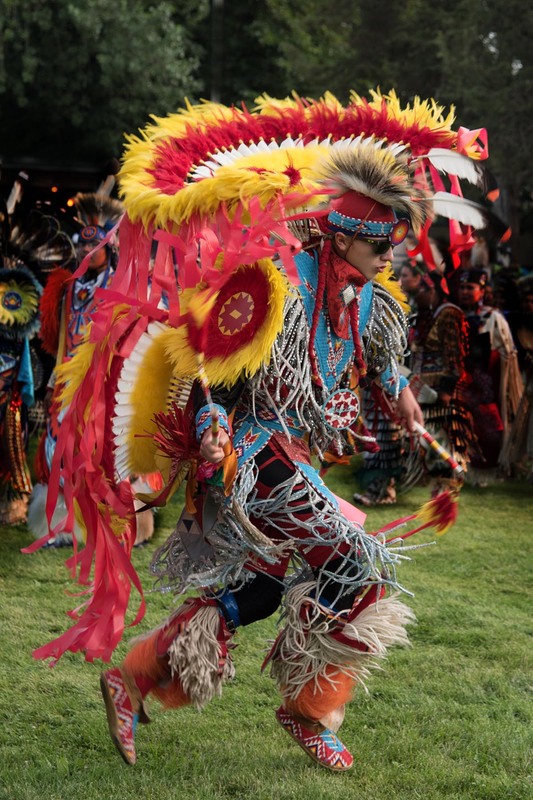 One lady told me a little bit about their dances like southern Indians danced clockwise (if I remember it right) and the other dance counterclockwise. She told me the accessories on their cloth indicate something. The music was very loud. It was hard to carry a conversation. It was a fun night. I saw cute kids, talented dancers, excellent drummers and singers. I witnessed beauty, courage, determination, and love. On our way home, I started chanting. My husband told me to be quiet so he could focus on driving. Good morning, Adhika. It is a 3 day event. Ideally, a beginner like me could take photos on the first day and after reviewing the photos, go back to take more photos (with a different setting maybe… it depends on what he learned from the first day). And then do it again for the third day if necessary. But most of us have to balance our passion with our lives (and work) so this is it for me this time. When I reviewed my photos, I have a couple of feedbacks for myself. (1) I should take a couple with slow shutter speed. the picture will be blurred, but it may be interesting. I should at least try. (2) I should use Aperture mode more. Since most of the time, people were moving, I tried program mode and shutter speed mode. But the moving speed wasn’t too fast, so Aperture mode should work very well. So, I agree with you (on slower shutter speed) totally. The black and white suggestion is interesting. I had questioned about that for a split second, and decided that since everything was so colorful, maybe black and white is not a good choice. After reading your comment, I definitely will give it a try. Thanks. Wish you were still here. I am sure you would enjoy this a lot! You could always use software to convert a color photo to black and white. Personally, I like color, so I find these colorful images very enjoyable for viewing. Thanks, Hien. I read somewhere that it’s better to use software to convert a color photo to black+white, than setting the camera to take B+W photos. I do use software to convert because it’s more convenient. Since these photos were so colorful, I wasn’t consider to convert any to B&W, but after reading Adhika’s comment, I did convert the old woman’s photo into B&W (since it has less color 😉 and I like it too. Very interesting! Thanks again. Have a wonderful evening. Fantastic portraits Helen ~ very well done capturing such a wide range of faces/emotions/eyes. Beautiful. 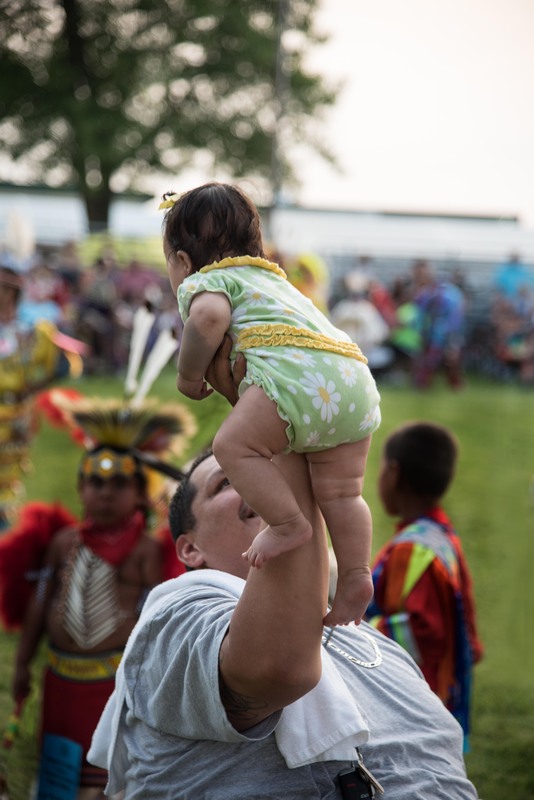 amazing shots of the pow wow. 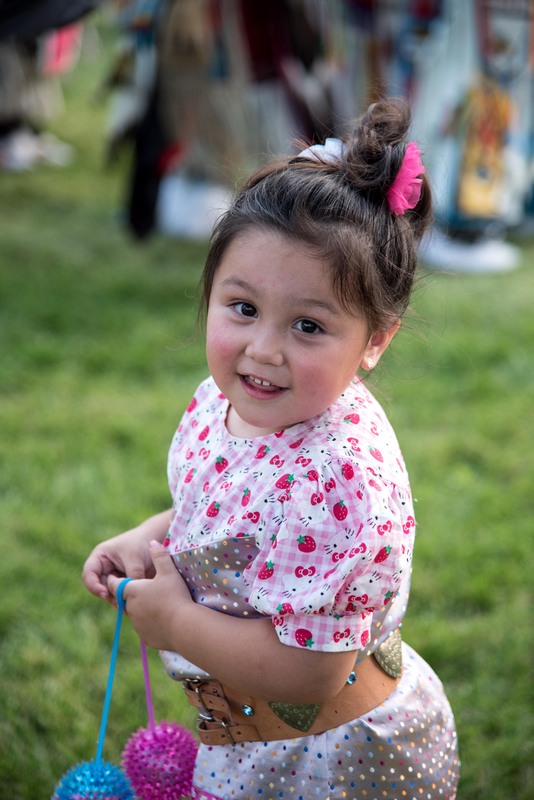 Love the photos of the little ones especially the last little guy who I would call Little Bear due to his look on his face. Thank you, Ruth. Isn’t he cute? I was afraid he would challenge me for a fight – he can easily beat me. Ha. Wish I could talk to them. They were busy for a dance competition. Little ones all received some money and they were so happy. I had a wonderful time. Thanks, Mabel. I believe everyone can take good photos there. There are so many opportunities. I think you underrate yourself. It takes more than having a camera to take a good picture and these are excellent. Stunning and lovely photos, thank you for sharing, Helen! Wow, you got some wonderful pictures on this day! Helen–you did NOT take too many photos! These are beautiful! First, I loved the little girl, then the old woman…oh! the baby! And the boy with the frowny face. And the colors… absolutely wonderful. But isn’t it great when there is so much to photograph?! I really love these, Helen. Yes, it was wonderful! Wish you were here. We could take photos together! Lovely shots. And I say keep chanting away! Another interesting thing is that after I switch to a new camera and lens, my confidence has increase a lot. The new camera/lens is more forgiven for hand-shake, and the images are much sharper than before. I didn’t expect such difference. Love, love, love all of these! So happy you took “too many” photos- more for us to enjoy! My husband also asks me to be quiet when I sing along with a song on the radio- maybe I will try chanting next time! Haha! Thanks, Sue. Just find out a couple of pow-wow radio stations. Maybe we can chant (sing?) together after I have some practices 😉 I find native American’s music is quite energetic, and I like that. OMG! 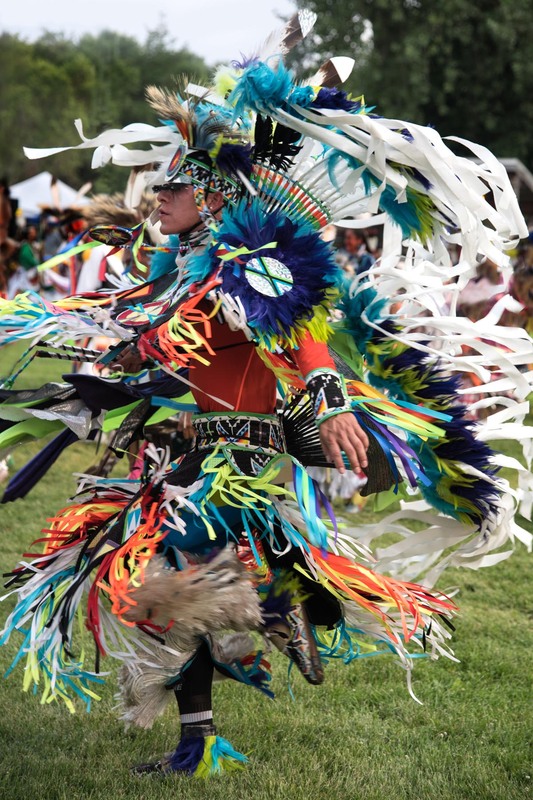 I would so so so love to attend a Pow Wow. I would have so much enjoyment taking pictures and just witnessing it, as I imagine you did too. OMG! This is one of my life’s mission. I want to interrogate them, ask them about different representations on their costume designs. I’m fascinated by their costumes and customs. You gotta be delighted to have been there. Thanks, Rommel. It was a quite interesting experience. I truly enjoyed it. 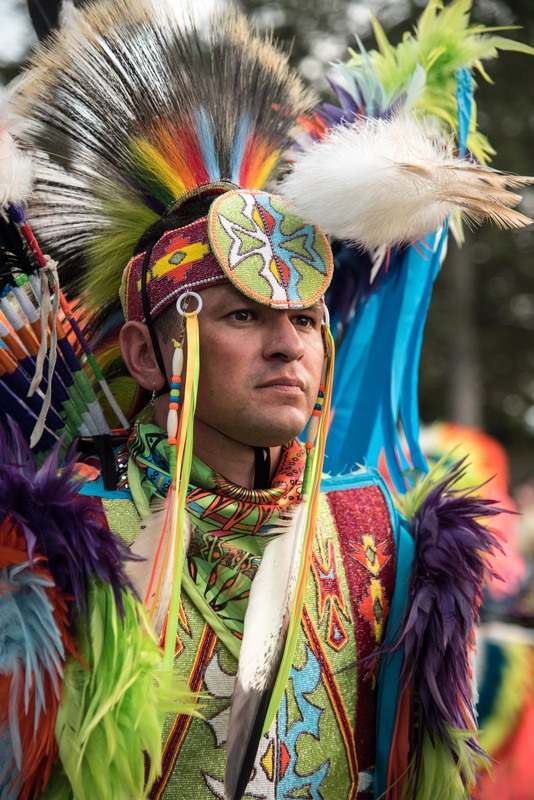 Not sure when you will be back to U.S. Powwows.com has some information you may find interesting. 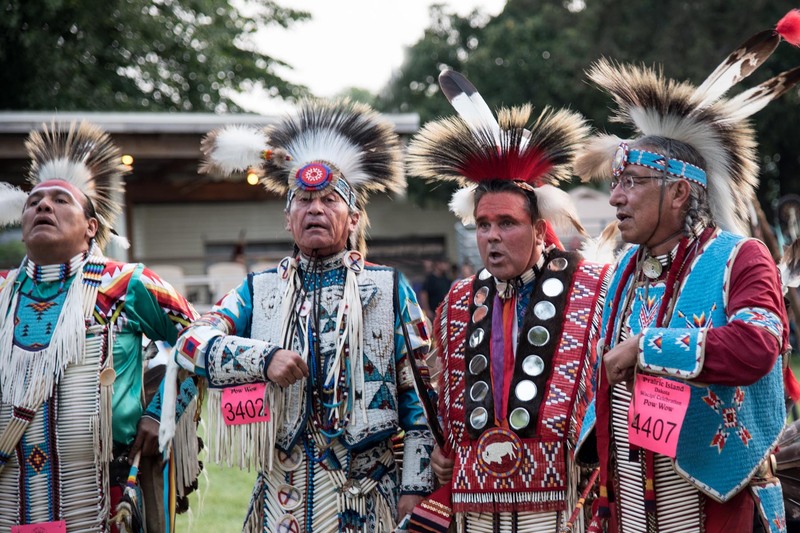 Wonderful series, showing a side of true American pride and history ~ in September the Umatilla Tribe in Oregon put together a week of cultural events and history and this is just what your photos bring to mind. Such a diverse set of photos, from portraits to action. Beautiful in every way. It’s so vibrant out there, a photographer’s delight I feel. Thanks, Sreejith. I was very proud of these photos until I saw Randall’s recent post (China Sojourns Photography). Now I want a second chance. Ha ha. If we keep changing our bench mark there is no limit for improvement, right?